Neodymium magnets -- also known as rare earth magnets -- are super strong and have a TON of uses. 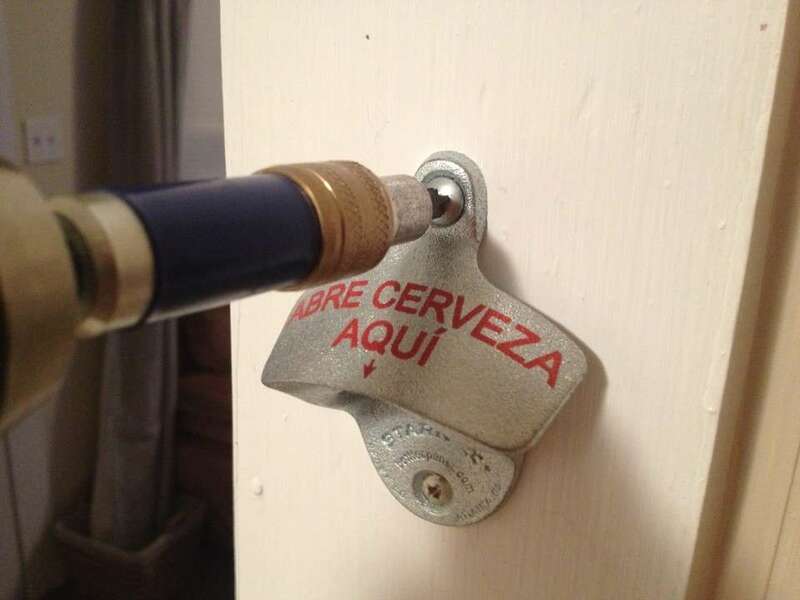 After seeing an eye-catching (albeit expensive) magnetic beer bottle opener online, I decided to make my own for 1/10 of the cost. 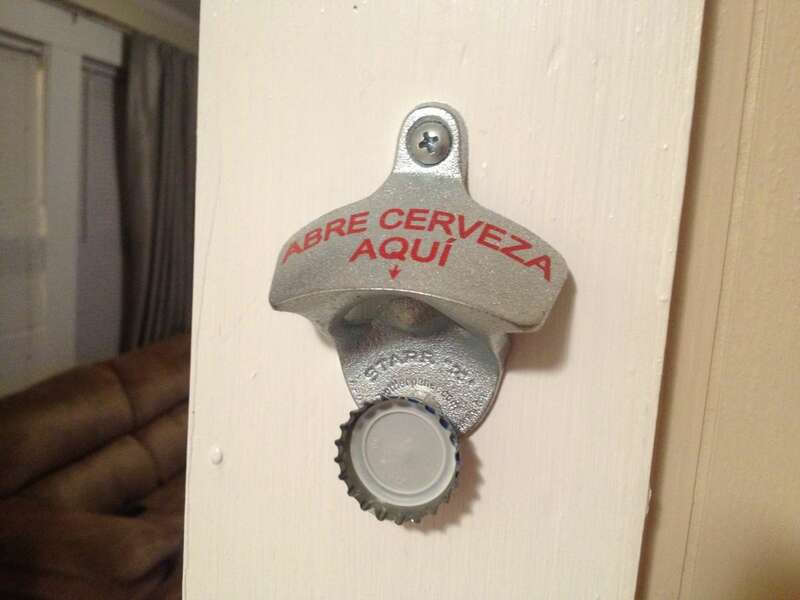 Using your drill (or a screwdriver and forearms), mount your bottle opener to the wall. I chose to use a smaller screw for the bottom hole to provide for a more flush magnet area. You have two options for placing the magnet. 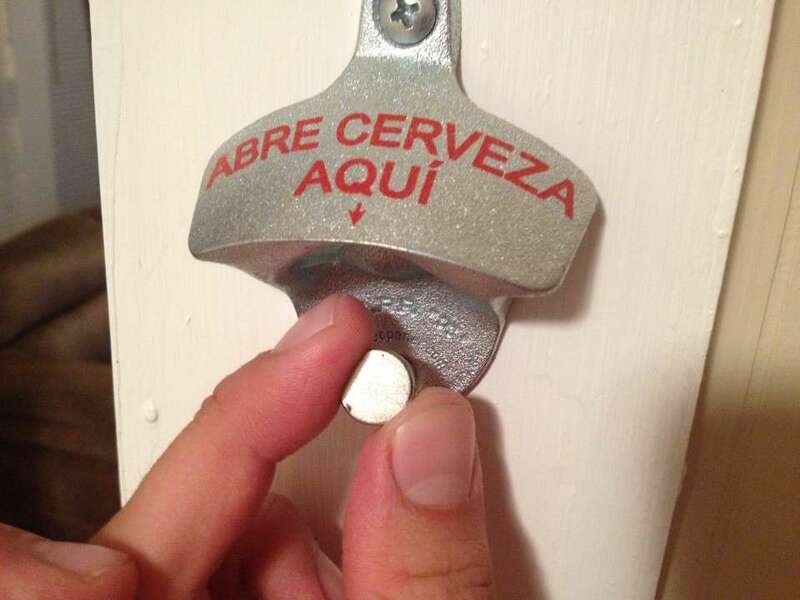 Option one is to place it directly at the bottom of the beer bottle opener, covering the lower screw. The downside is that fewer bottle caps will stick to the magnet due to space constraints. I chose this option in the interest of putting fewer holes in my (rented) wall. 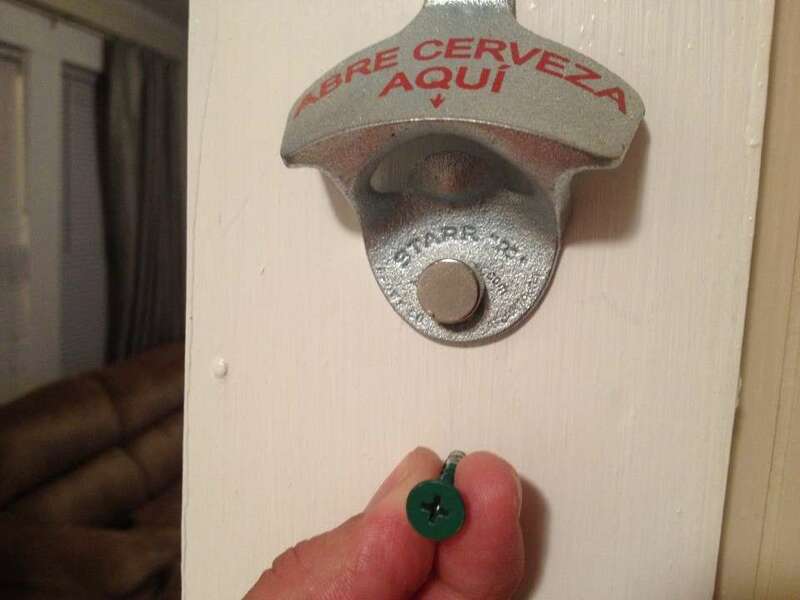 The second option is to screw a third screw into the wall about an inch below the bottle opener. There is more space for bottle caps to stick together this way. Time for a celebratory brew.